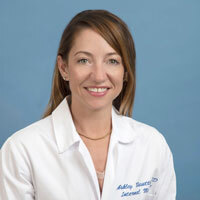 Dr. Ashley Busuttil received her medical degree at the UCLA David Geffen School of Medicine in 2003. She completed an Internal Medicine internship, residency and chief residency at UCLA, and joined the UCLA faculty in 2006. She currently serves as Associate Director of the UCLA Hospitalist Section based at the UCLA Santa Monica and Orthopedic Hospital, and maintains an outpatient primary care practice. Her interests are resident education, patient safety, transitions of care and venous thromboembolic disease and prophylaxis.